Dr Alex Fowke is a senior Clinical Psychologist working in a community mental health team in North London, supporting adults with severe & enduring mental health difficulties and complex personality traits. He also works in private practice where he sees clients with a range of mental health difficulties. 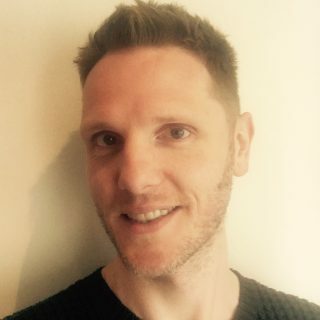 Alongside his clinical practice, Alex also has an academic role as a Clinical Tutor & Lecturer on the Doctorate in Clinical Psychology at Royal Holloway University of London. Alex was a research therapist on the ReFRAMED research trial, delivering RO DBT to clients with treatment-resistant depression. He was intensively trained and supervised by the treatment-developer, Professor Tom Lynch, and continues to be involved with the development and dissemination of RO DBT as a Senior Clinician with Radically Open Ltd. He currently offers RO DBT as part of his private practice, co-facilitating a skills class in Covent Garden in Central London and seeing individual clients in his private practice in Hampstead, North London. Further to RO DBT, Alex has been trained in a range of specialised psychological therapies, and is accredited as a provider of Cognitive Behavioural Therapy (CBT) and Dialectical Behaviour Therapy (DBT). He is also trained in Acceptance & Commitment Thearpy (ACT) and Compassion-Focused Therapy. Alongside his accreditation with the British Association for Behavioural & Cognitive Psychotherapies and the Society for DBT, he is registered with the Health & Care Professions Council and a Chartered Member of the British Psychological Society. He is a member of the Division of Clinical Psychology and CMHT Network co-chair within the Faculty of Psychosis & Complex Mental Health. He is also a EuroPsy Registered Psychologist. Alex is sanctioned by Tom to provide one-day RO DBT introductory workshops and has done so across the UK & Ireland.